Our selection of artisan crafted ready frames for tabletop or wall ensures a unique and interesting frame for any photograph or small artwork piece. We make these beautiful unique frames from our line of custom moulding, each frame is handcrafted and one of a kind. Frames are made to fit standard sizes ranging from 5×5 to 8×10. 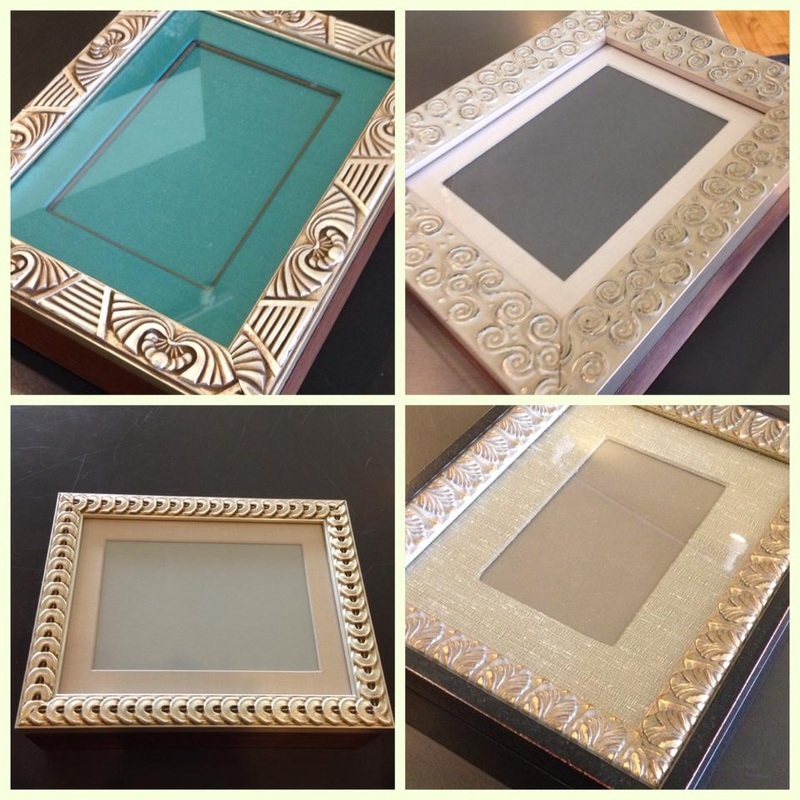 We also offer hinged photo frames, custom made photo boxes and tabletop easels in a variety of sizes & finishes. Selection and variety is constantly changing and our design staff can even fit your artwork into the frame for you.